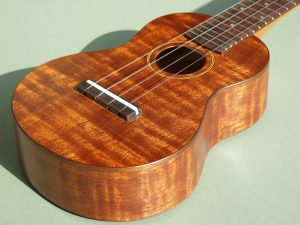 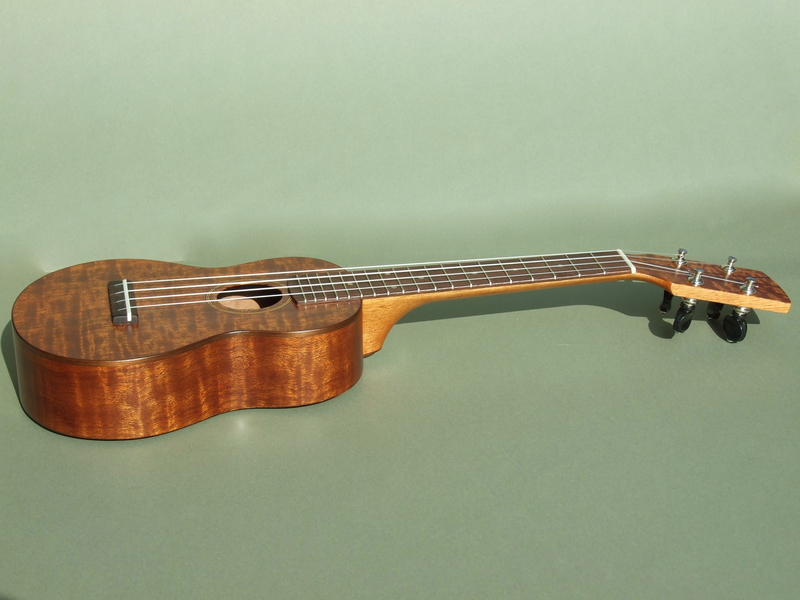 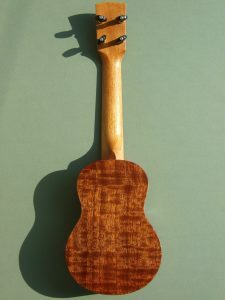 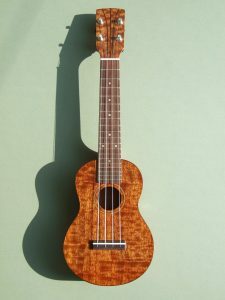 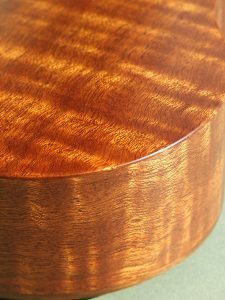 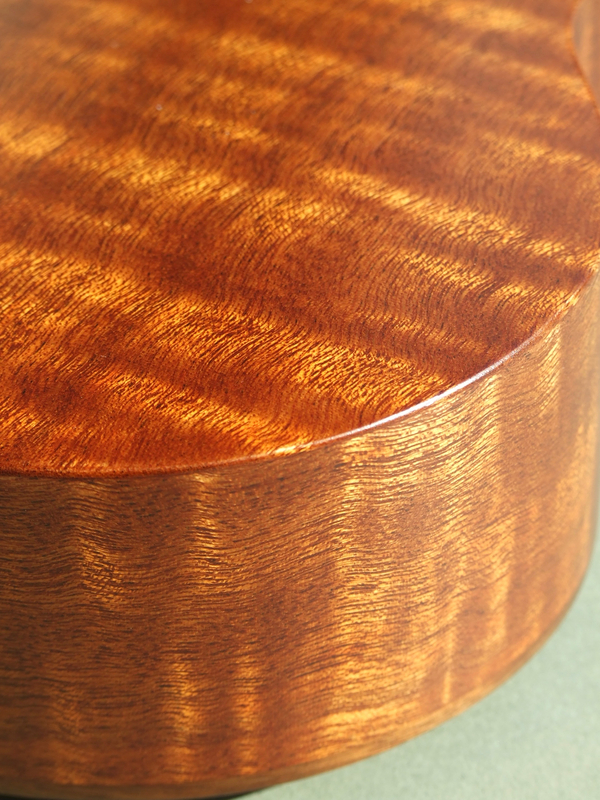 Body: Figured African Mahogany with Walnut binding to the top. 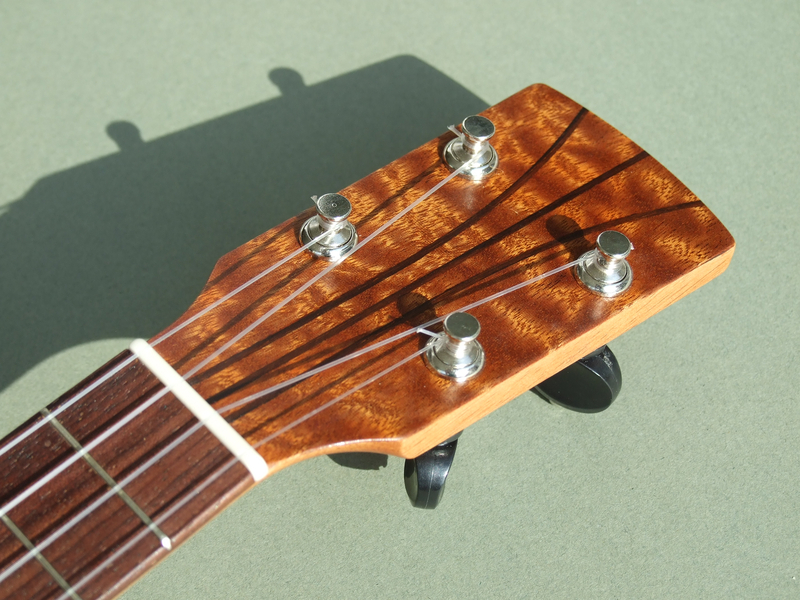 Fretboard: Rosewood with abalone fret inlays and acrylic side dots and a corian nut. 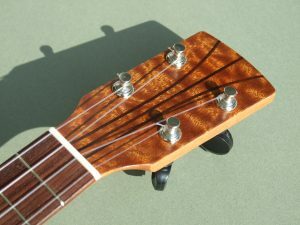 Bridge: Rosewood with a corian saddle.